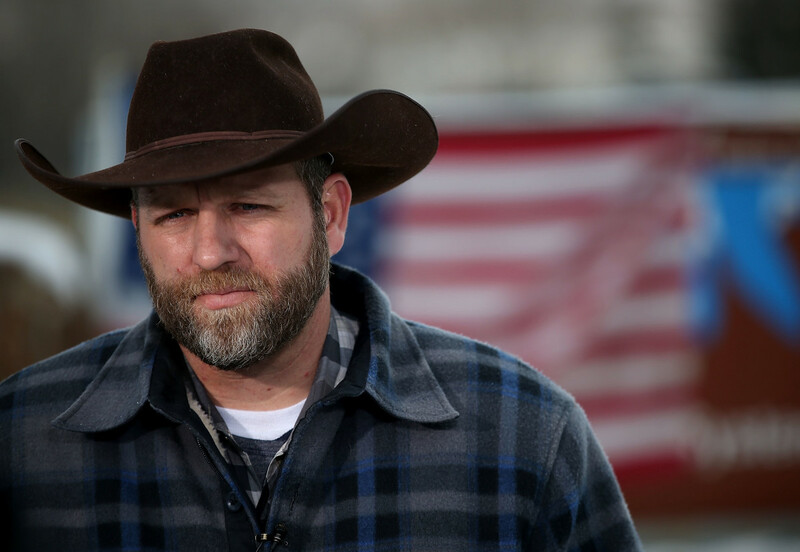 Like the original American revolutionaries, the Bundys warn of creeping tyranny. If they fetishize the constitution, it&apos;s fair to say they worship the Declaration of Independence, and the Bundys tell the same kind of story about a government’s history of repeated injuries and usurpations, all having as their direct object the establishment of an absolute tyranny. To them, Barack Obama’s federal government is not simply misguided or abusive; to them and their ideological bedfellows, the government of the United States is intentionally sabotaging the economy to drag free men and women into poverty, making them dependent on government handouts and patronage, and, thus, easy to control. Government is not just the problem; government is the enemy. We have the EPA that is taking property away from people, they are restricting whole industries, putting whole states and counties into economic depression. We have a slew of other federal agencies that are doing the same thing, and they are doing it by controlling the land and resources, because they know where wealth generates from: wealth generates from the earth, from the land and resources. If they can control them, then they can be the beneficiaries of them, and then the American people have to practically beg them for whatever they give them. 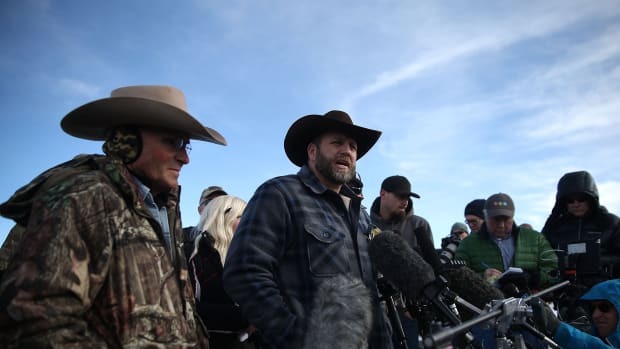 Before seizing the refuge, the Bundy brothers first appealed to the Harney County Sheriff on November 12, urging him to defy the federal government as the true representative of the people. Like their father, Cliven Bundy, who defied the federal government because he regarded it as a "foreign court," the Bundy brothers belong to the "county supremacy movement," who regard the only legitimate policing power as the county sheriff. In that open letter, they argue that the Hammonds did no more than to "use and care for the land," and, as a result, have come into conflict with the government, "those that harbor the ideology that it is a moral obligation to restrict man from the use of the land and resources." According to Bundy, "multiple federal employees are using their position in government to remove the Hammonds from the land to set a precedent for the removal of other land users." This claim makes more sense if you assume that Obama really is a secret socialist, and that the U.S. government has been infiltrated by subversionary elements seeking to establish totalitarian rule over the American people. And a lot of Americans do believe these things. The Bundys accuse the Bureau of Land Management (along with the Environmental Protection Agency and other federal agencies) not of enforcing the law, but of conspiring to "restrict man from the use of the land" as an end in itself. There is therefore no point in trying to "reform" how the BLM manages public lands. If this government’s actual goal is tyranny—and control of the land and its resources is the instrument it uses—then public lands are only a battlefield; seizing them is a strike against tyranny, but only a first step. One has only to take these "patriots" at their word to see that they are not reformists but revolutionaries. Though it may lack the rhetorical zip of the Thomas Jefferson original, the open letter that the Bundy family wrote to the Harney County sheriff in November is—like the Declaration of Independence itself—primarily a list of grievances. There are a few semi-quotable assertions, like the claim that "Government employees (full-time & elected) have changed their culture from one of service to, and respect for the people, to the roll [sic] of being a masters" or the declaration that "It is the duty of the people to defend their God given rights if government fails to do so or turns to devour them." But most of the document attempts to substantiate the grounds on which the Bundys are aggrieved, by telling a story of government tyranny—a 4,000-word bill of the Violations, Corruptions and Abuses and an accounting of the Facts & Events. I’m not sure how many people read the open letter when it first appeared at the Bundy Ranch website in November, misspellings and all, or when they re-posted it in December. But on Sunday, the Facts & Events section appeared (without citation) at "the Conservative Treehouse," where it has been shared far and wide. The Conservative Treehouse is a far-right website (it ran hit-pieces on Trayvon Martin) and these days serves as a clearinghouse for news on Benghazi, how Donald Trump will make America great again, and talking points from the National Rifle Association; from there, the document has been shared many thousands of times on Facebook, and was even re-re-posted back onto the Bundy Ranch website. 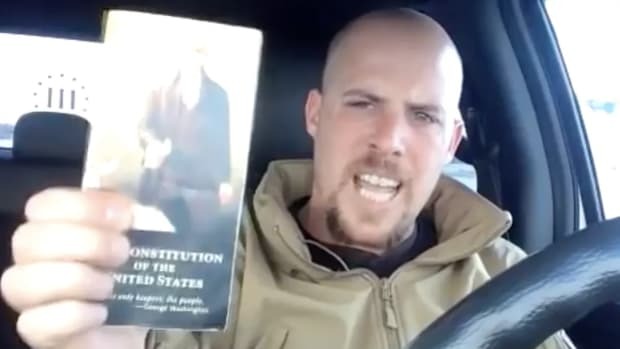 Despite being essentially authored by the Bundys themselves, it is viewed in some circles as unvarnished truth, the key contextualizing document in the latest Bundy affair, at least for those sympathetic to the militia movement (and especially for those who reject anything published under the shadow of .gov, and who get their facts from Infowars and from Facebook). (aa) The Harney Basin (were the Hammond ranch is established) was settled in the 1870s. The valley was settled by multiple ranchers and was known to have run over 300,000 head of cattle. These ranchers developed a state of the art irrigated system to water the meadows, and it soon became a favorite stopping place for migrating birds on their annual trek north. This is a libertarian fairy tale, even before the authors go on to dismiss wildlife conservation as a "political scheme." In the beginning, there was the land. But like all virgin soil, it required entrepreneurial ranchers to settle it before it could produce value, and this was central to the myth: that nothing existed before the arrival of these free men. The "Indian reservation" is mentioned a full paragraph after the Harney Basin "was settled in the 1870s," and safely enclosed in scare-quotes (along with the parenthetical disclaimer “without Indians” to emphasize that the Indians didn’t really precede the settlers). Even the birds didn’t really arrive until after our heroic pioneer ranchers had built "a state-of-the-art irrigation system" to make the lake a hospitable stopover spot. For the Bundys, then, nothing really happened before the 1870s. They do not mention Spanish explorers in 1532, or French Canadian trappers, or the British occupation after the war of 1812, or Oregon statehood in the 1850s. Their story most definitely does not begin thousands of years ago, when the first people settled the region. 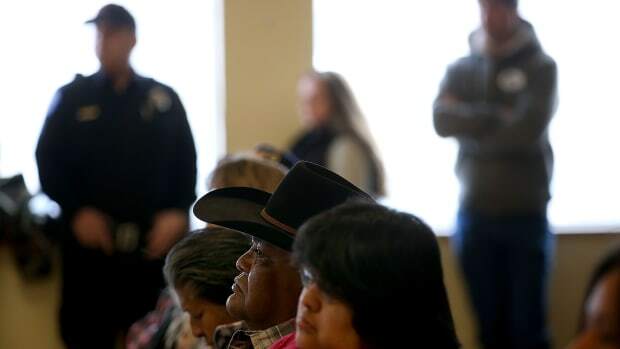 They have no time for how the Army re-settled the northern Paiute in the Malheur Indian reservation in 1872—emptying Harney County for settlement by white people—nor how those same white settlers demanded (and got) the reservation dis-established in 1879 so they could have that land too. But history didn’t begin in the 1870s. A lot had to happen before rancher-settlers could run hundreds of thousands of cattle in Harney County, and so a lot has to be forgotten by ideologues like the Bundy family. In part, this is because most of the pre-1870 erasures was done by the federal government. Obviously, the U.S. military first had to ethnically cleanse the land, getting rid of the various native peoples that had lived in these stretches for thousands of years. But even after the land had become "free" to white settlers, prospective ranchers still needed markets for their cattle, especially once their primary market for meat, the Army, had moved on to other territories. It was the federal government that stepped in and bailed them out, taking on debt by an act of Congress to finance and build a railroad system. Without the Central Pacific Railway, those thousands of cattle could never have been sold. 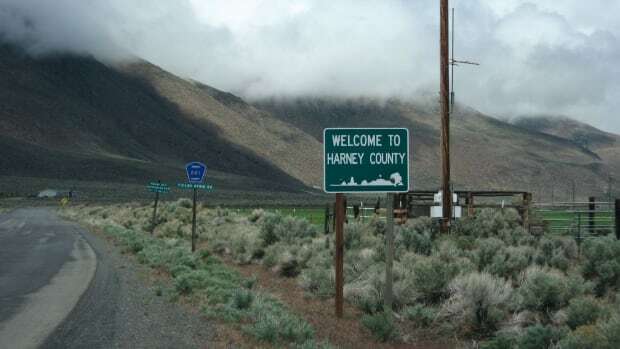 Despite the Bundy mythology of family farming and homesteading—individual homesteads headed by patriarchal Free Men—cattle ranching in Harney County was first and foremost a corporate concern. For one thing, raising cattle is and has always been a capital-intensive industry, so Harney County ranchers had to be, and were, financed by businessmen in California, which is where most of the ranchers originally came from. In the 1860s and &apos;70s, the prospects for cattle ranching in California had become dim: A few major droughts and a piece of fencing legislation in 1874 (which favored planted agriculture over stock-raising by placing the financial burden for fencing on cattle ranchers instead of on grain farmers) effectively closed the California range, sending herds east into the northern Great Basin. When Peter French first came to Harney County in 1872, for example, he represented Hugh J. Glenn, a businessman in Sacramento, acquiring land and cattle for what he would eventually incorporate (in California) as the French-Glenn Livestock Company. French would marry into Hugh J. Glenn’s family, but only after their business partnership had been consummated, becoming one of the two major corporations that owned the vast majority of the ranchland in the county. Peter French acquired his land by any means necessary, but all of it had originally been acquired by and then from the federal government. Sometimes French bought it from discouraged family settlers, who were looking to move on; sometimes he forced them to move on, so they would sell their land to him. Sometimes he quietly fenced off and seized what would have otherwise been public rangeland; according to a General Land Office report of 1886–87, around 30,000 acres of commons had somehow found itself enclosed by French-Glenn fences. Another means of sidestepping the law was for his own employees to file homestead claims and then immediately sell the land to their employer (according to historian Margaret Lo Piccolo Sullivan, French-Glenn acquired around 27,000 acres between 1882 and 1889, of which around 16,000 were "purchased" from employees listed on the company ledger). There were many schemes. It was possible to buy land that had been surveyed as "swamp" from the government at very low prices, for example, if you promised to drain and use it. So sometimes French and others would flood the land first, rendering it swampland so as to lower the price. Sometimes they didn’t even bother. In one of the most notorious bits of fiscal legerdemain, French purchased 50,000 acres of swamp land in 1877 from a previous owner who had certified it as swamp, before purchasing it, by technically crossing it in a boat—a boat drawn by mules. The regulatory agencies eventually caught up with these schemes, but by the time they did, most of the land had already been distributed among a very small number of hands. After the 1870s, the story of Harney County ranching became a story of class warfare, as cattle barons such as French sought to expand and monopolize the range by destroying or incorporating smaller competitors. The underlying economics—and corrupt local governance—tended to favor the syndicate: Only well-capitalized firms, with many employees, had the resources to drive their cattle to the nearest railhead, hundreds of miles away, so small-scale ranchers often had no choice but to sell their cattle to the big operations (at whatever price the large operations chose to buy). Large firms could drive small ranches out of business, simply by refusing to buy from them. Of course, sometimes the big fish eating the little fish paid their own price: Hugh J. Glenn would be killed by a disgruntled employee, and Peter French, in turn, would be shot and killed in 1897 by a small-holder whose farm he had encircled as part of a long-running border dispute. But that was the old West. The era of the great cattle barons had already passed, long before the Hammonds moved to Oregon and bought their ranch in the Diamond Valley, what had once been a part of French’s 140,000-acre empire. When the frontier closed at the dawn of the 20th century, sheep farms, drought, and desertification put the big cattle ranches into debt: The French-Glenn Livestock Company would be sold to Henry L. Corbett in 1907 and become part of the Blitzen Valley Land Company, which would in turn be re-organized as the Eastern Oregon Livestock Company, in 1916. But in 1935, the company would be underwater again, this time for good; its shareholders would look to the government to buy them out. 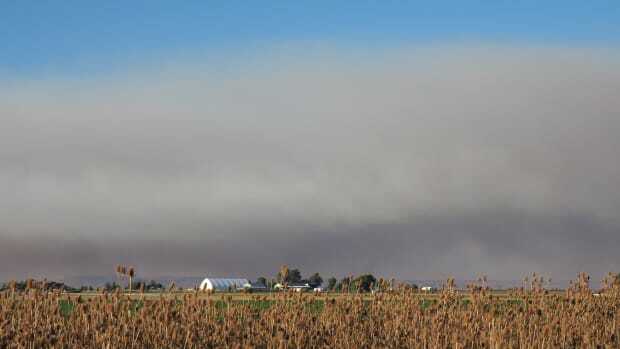 There are many reasons why the government owns so much land in Harney County. Some of the land is of no value to anyone; the Army took all of it from the northern Paiute, but never found buyers for some of it. Sometimes it was always more profitable for individual ranchers just to use government land without buying it. And sometimes the land fell back into the federal government’s hands because the ranchers no longer wanted it. For all the infrastructure it built to make cattle ranching profitable (and the massive fraudulent handouts to well-connected and well-capitalized cattle corporations), the federal government enabled the great cattle empires of the 1870s only to watch them go belly up. But they were, of course, too big to fail: In a story as old as finance capitalism, the federal government bailed them out and bought back the land. Western militia-types like to fantasize that they are oppressed by a "foreign" government. They like to play dress-up, to pretend that they are entrepreneurial family farmers who built it all themselves. But you can tell the story of Harney County as a morality tale about the evils of big government only if you leave most of it out. And so they do. 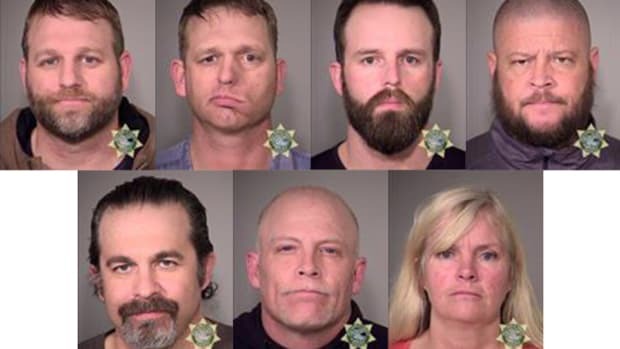 The story the Bundy brothers tell is mostly empty space, like the Western frontier of their imagination. And perhaps this is fitting. After all, what is American history if not a history of unspoken violence, told by erasure? A standoff with authorities at a federal wildlife preserve is a disconcerting reminder of America's vigilante tradition. A recent compromise, hammered out to protect sage grouse, shows it's possible for conservation and business interests in the West to work together.